Welcome aboard Regency® — specially designed to help you unwind in style. Regency® Boats is a line of luxury pontoon boats, each gracefully crafted to usher you and your crew through years of elegant outings. 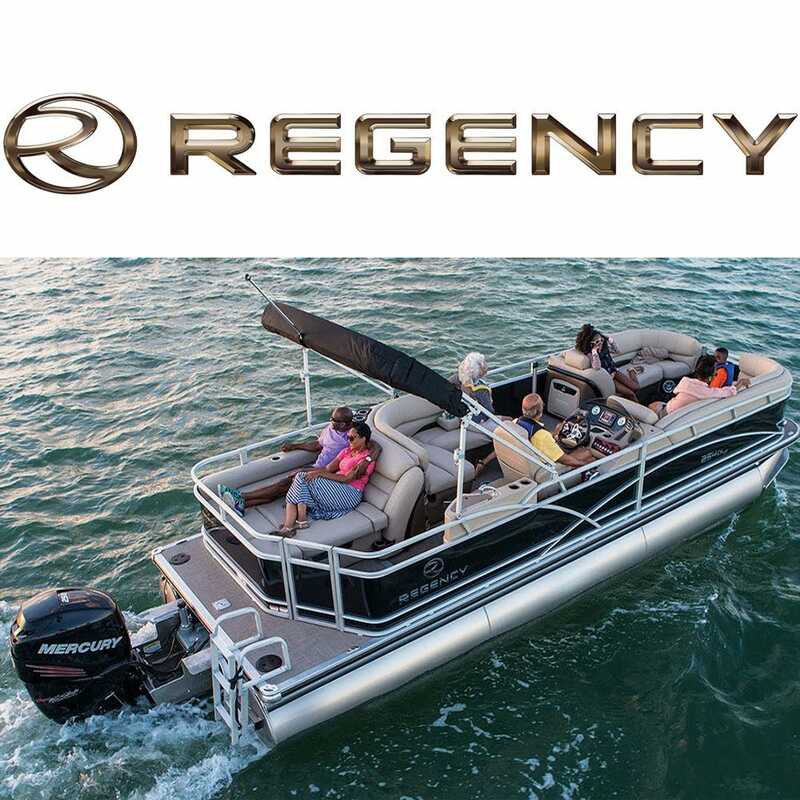 Every Regency® Boat offers an impressive array of standard features that seamlessly meld luxury, beauty, performance, comfort, convenience and peace of mind to offer discerning boaters a family of pontoons that are easy to own and enjoy with confidence. Great Lakes Skipper is proud to offer a comprehensive line of original parts for your Regency® boat!